Most men in their quest for the perfect physique, enhanced strength and performance have routinely been found stockpiling massive exercise arsenal utilizing every known training method at their disposal to gain their goal to perfection. Some men however have unwillingly dug themselves into a type of fitness sinkhole by becoming locked within a particular training routine focussing mainly on a single type exercise. Nonetheless professional athletes when reaching their respective plateaux have often approached these fitness levels in a constructive manner to surpass them enabling the athlete to reach new heights. Many of these athletes in their quest to improve their performance have found a number of ways to reinvent themselves and their training routines by seeking out and exposing themselves to innovative and enterprising training programs outside of their normal exercise workout. The cross training method is one of the more popular and dynamic training routines widely used to illustrate this approach. Cross Training has been traditionally used by olympic athletic sprinters due to it's ability to effectively gather a variety of the regimen commonly found in several training programs assimilating them into a number of robust and supremely prolific workouts. As such Cross-Training when viewed within the fitness industry commonly refers to a combination of exercises or a single all-inclusive training session such as track and field, boxing and bodybuilding that is outside of their typical training regimen. Occasionally professional actors have been exposed to specially developed cross-training programs in preparation for a particular movie role as in the case of Gerard Butler in the movie 300. This training method has additionally been used in military training for soldiers and even professional athletes such as NBA and NFL players. 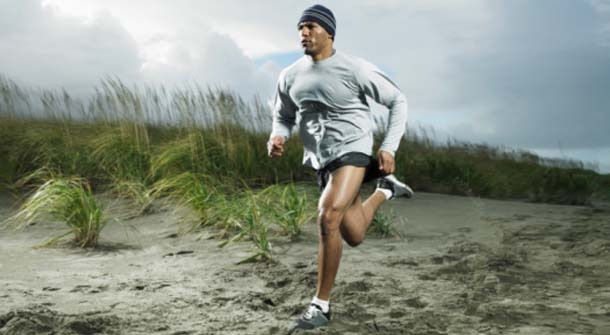 Cross-Training in it's recognition of a variety of exercises from known disciplines exposes the athlete's body to a more intense training than the conventional straight-forward technique. This increased workload and variety offered by the Cross-Training method is generally referred to as conditioning of the body by forcing it to perform more work resulting in enhanced growth in fitness levels. The typical cross-training workout is not designed to focus on any one goal such as building strength of enhanced performance, but rather to simultaneously compound these needs within a single exercise routine. Many professional weightlifters when cross-training have found it possible to build muscle mass, promote weight loss, increase their cardiovascular function within the body and enhance performance and energy all within a single workout. Professional athletes involved in contact sports such as NFL and NBA players routinely find themselves prone to injury on the field or court during game time and even in the gym while training. This is mainly attributed to their training routine often recognizing a single exercise activity. Whether it is squatting, jumping, lifting running or cutting, the human body is easily subjected to fatigue. Tendons, joints, muscles and ligaments are constantly exposed to an enormous amount of stress when performing the motions of the exercise routine. As a result trainer will routinely schedule adequate rest periods for their athletes for an occasional break in training. Cross-Training with it's varying mix in training routine allows the athlete's body parts sufficient rest with the opportunity of the trained muscle tissues to rest and repair themselves stimulating growth and build strength making the cross-training method of exercise a more rounded and healthier workout.